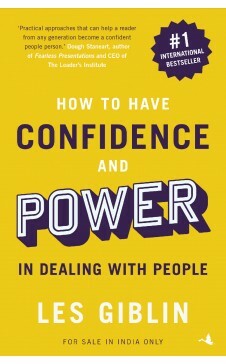 How to Have Confidence and Power in Dealing With People explains how to interact with others as they really are, not as you would like them to be. The goal is to get what you want from them successfully – be it cooperation, goodwill, love or security. Les Giblin, a recognized expert in the field of human relations, has devised a method for dealing with people that can be used when relating with anyone – parents, teachers, bosses, employees, friends, acquaintances, even strangers. Giblin shows step by step how to get what you want at any time and in ways that leave you feeling good about yourself. Moreover, the people who have given you want you want wind up feeling good about themselves, too. The result? Nobody gets shortchanged. It’s a win-win situation. Instead of feeling miserable about your interpersonal skills, read this best-selling guide and learn to succeed with people in every area of your life. 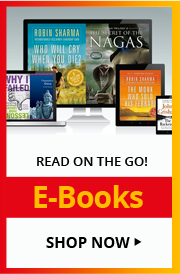 •	This book teaches us to use the basic secrets of human nature to influence people. •	It gives us the key to control other’s attitude and expectations through your own behavior. •	Getting 100 percent cooperation and increasing your brain power. One of the pioneers of the personal development industry, Les Giblin was born in 1912 in Cedar Rapids, Iowa. After serving in the military, Giblin began a successful career in door-to-door sales which made him an ardent observer of human nature and eventually earned him two titles as national Salesman of the Year. Talking lessons from his sales career, Giblin penned his classic Skill With People in 1968. Les Giblin's timeless message of making skill with people the essential ability in your life takes on new meaning in today's world of impersonal communication. Make the most of your personal connections as taught by the master of people and sales skills.